IOTA is a third generation cryptocurrency and the first technology that supports fast, decentralized currency transfers with quantum security. The unique architecture of IOTA’s system, the Tangle, allows almost instantaneous transfers, setting IOTA apart from the rest. It is the first viable micropayment solution suitable for everyday payments. 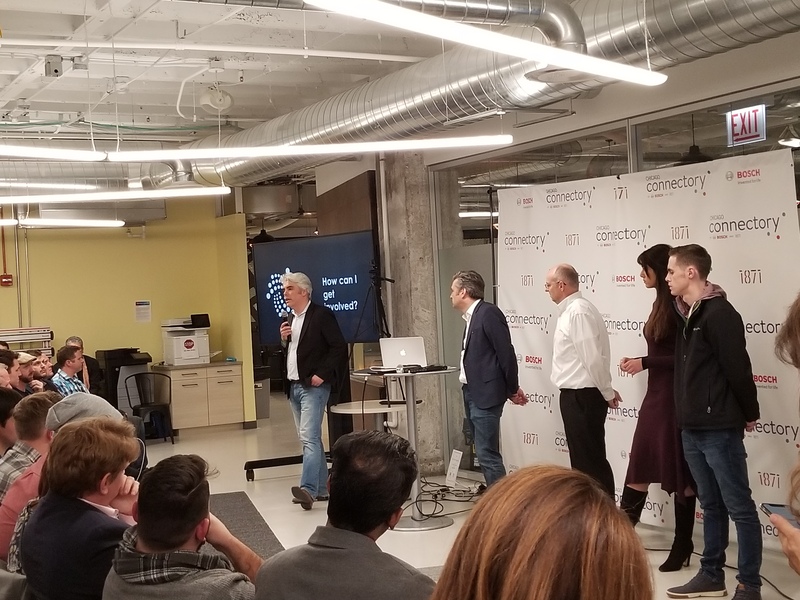 The event began with presentations from IOTA associates including IOTA Advisor Joe Renz, IOTA Advisor Alexander Renz and IOTA Ecosystem Engineer Jesse Babbra. They provided a background on IOTA and discussed the chance of monetizing IoT-based data through the IOTA technology and harnessing the data available to create value. Jesse Babbra gave a presentation about the IOTA Tangle, stating that IOTA would be capable of being the backbone for IoT by using the Tangle to enable machine-to-machine transactions with zero fees. After this, Bosch IoT Specialist Uwe Roehm joined the group to demonstrate IOTA’s Tangle concept through the Bosch XDK sensor. Alex Renz said it was a terrific opportunity to combine the demo of the new IOTA software applied to a Bosch sensor at this meetup. “The demonstration was to show a piece of software from IOTA, as well as a product everyone can purchase from Bosch Connected Device Services,” Uwe said.